This is Tenor. He likes Jeeps. Plus, since we took the back seat out, there’s a lot of open space back there — especially in a Jeep Wrangler Unlimited. It has taken him some time to get used to all the twists and turns, starts and stops. Don’t worry… From day one, he’s been tethered to the seatbelt with a doggie harness every time he goes for a ride in the Jeep. But still, it took him awhile to truly get comfortable riding back there. 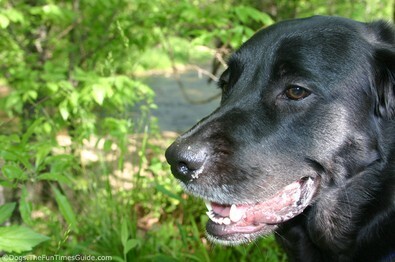 As a puppy, Tenor had ridden in the back of our Jeep a couple times en route to the vet. Besides that, he only had one other opportunity to enjoy a Jeep ride — with the top down. It was when we had another dog, Destin. And to be honest, the experience of toting around two big dogs (one of them overly protective and snippy toward the other) was not all that enjoyable. 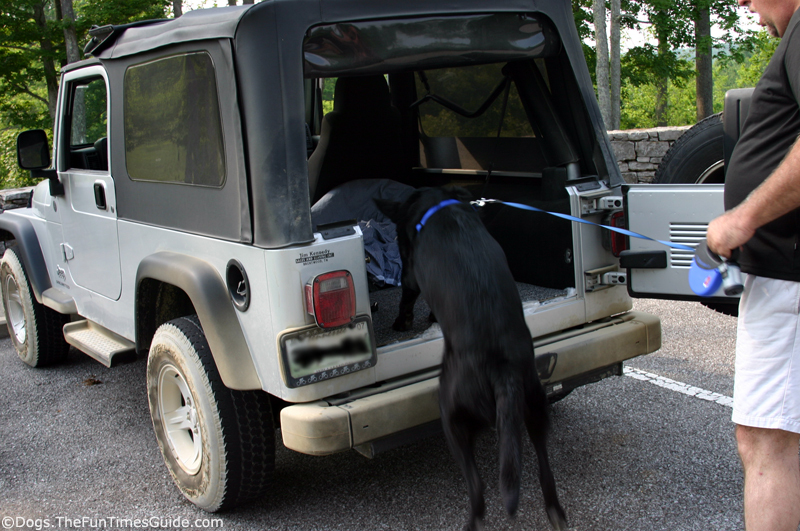 I’m sure, with repeated Jeep rides, we could have worked it out, but we just didn’t bother after that one trial run with both dogs in the Jeep. Fast forward about a year, and Destin has sadly passed on, leaving Tenor to try new things — on his own. This has been a huge feat for us and for Tenor because he’s been so used to having a “big brother” boss him around and practically dictate his every move. So now, at the age of one-and-a-half, Tenor is just now learning how to be a dog and think for himself for the very first time. The very day that Destin left us, I decided to start introducing Tenor to as many new things as possible (with the hope of lessening any “mourning” that he might be experiencing due to the loss of Destin). 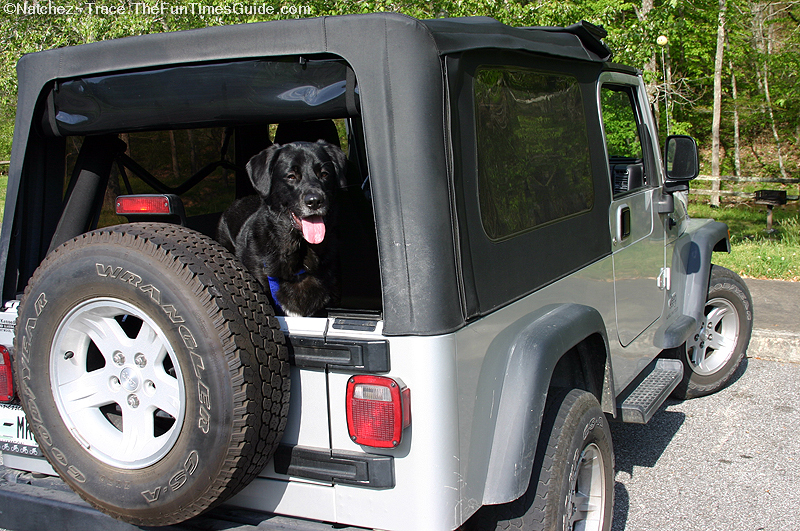 And one of the first things I introduced him to was a ride in the Jeep… with the top down… by himself! We went to Garrison Creek on the Natchez Trace Parkway. He’d never really played in creeks & water before, so this was a big deal for him. And I wanted to get him used to car rides and going to different places, so I did this for nearly 2 months — day in and day out — always stopping at a different location for a walk on the leash. Tenor has really come around and is enjoying being a dog again (rather than a quiet and meek dog whose every move was dictated by his “big brother”, Destin). It did take him awhile to get used to jumping up in the back of the Jeep, for some reason. He’d put his front paws on the Jeep bumper like he wanted to get in, but he couldn’t bring himself to jump all the way up. So we had to lift his back end most times. The trick is to sit in the Jeep driver’s seat and offer one of his most favorite chewy treats. So, at the same time he is contemplating jumping up into the Jeep, he is looking at me sitting there holding the smelly treat and enticing him to jump in. 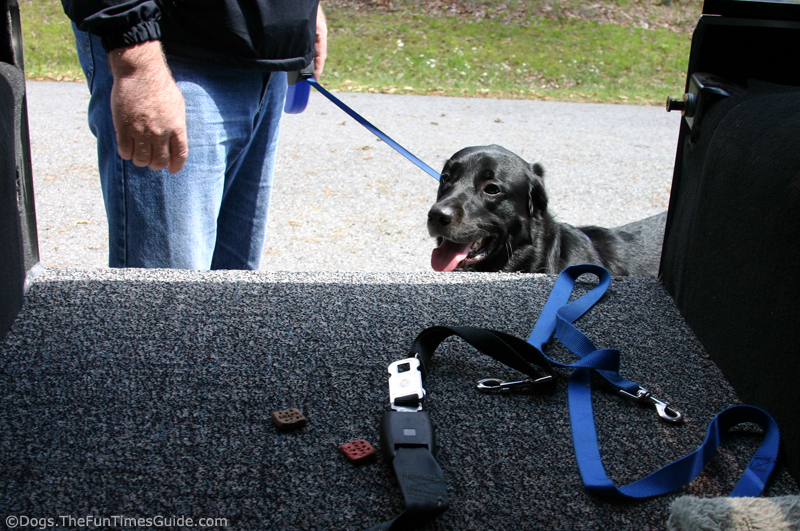 Now we keep these treats inside the armrest compartment in the Jeep, so whenever he hears that lid open, he jumps right in to get his treat! He’s actually gotten to the point that it doesn’t always take a treat to entice him. Especially when he’s tired and wants to go home… he’ll jump in the moment the door opens. 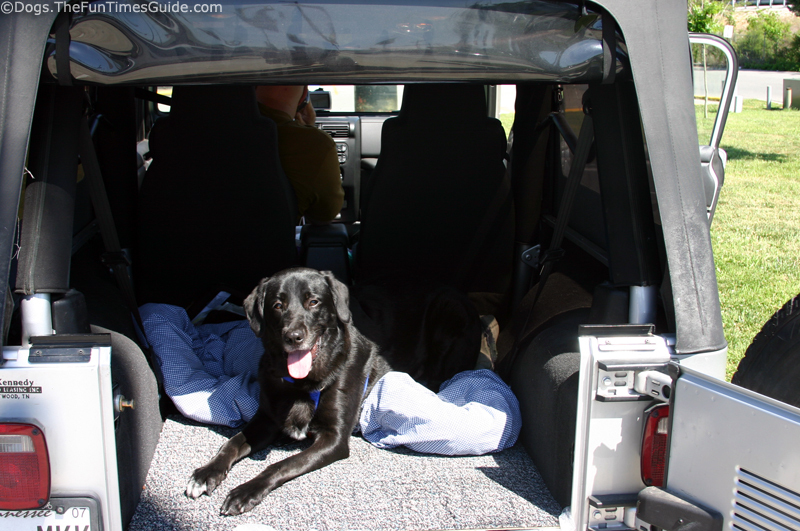 Now, the plan is to get Tenor accustomed to long Jeep rides because we’d like to take him with us if we get an RV. If all goes as planned, we will be spending weeks… months… up to a year roadtripping across the USA while our log home is being built here in Middle Tennessee. Tenor Titan Bleu, the RV Road Dawg (…in training).